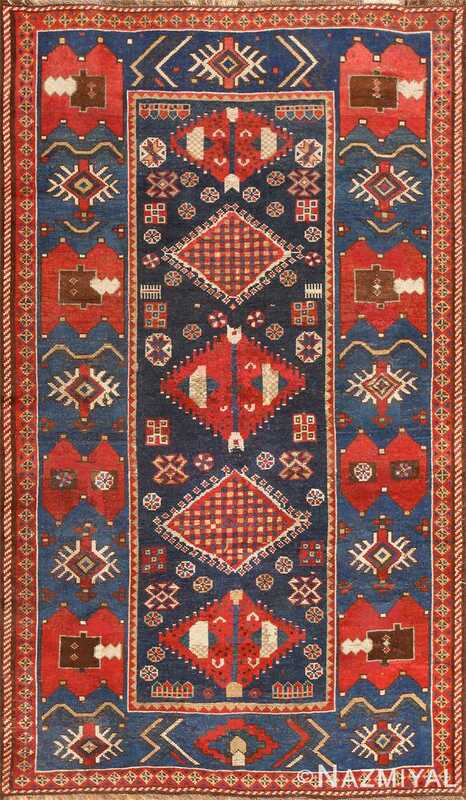 This exquisite Vintage Turkish Kazak rug showcases a superb directional medallion with an angular mihrab and coffered compartments filled with ancient duality symbols. 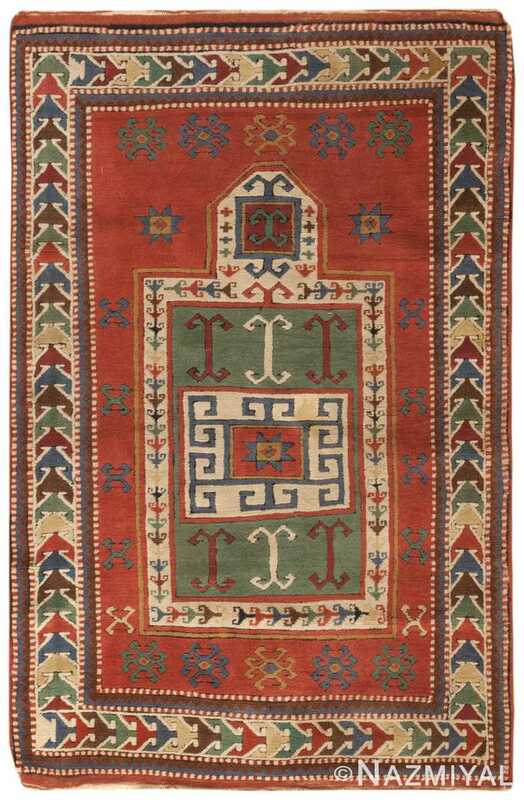 Vintage Kazak Rug, Origin: Turkish, – This beautifully detailed Turkish Kazak rug features a traditional mihrab medallion filled with a diverse selection of polychromatic symbols. The lavishly colored composition revolves around a coffered mihrab medallion adorned with a quirky Memling-style gul, double ram’s horn motifs and soft white strap work borders that feature interconnected elibelinde motifs with distinctive recurving arms. 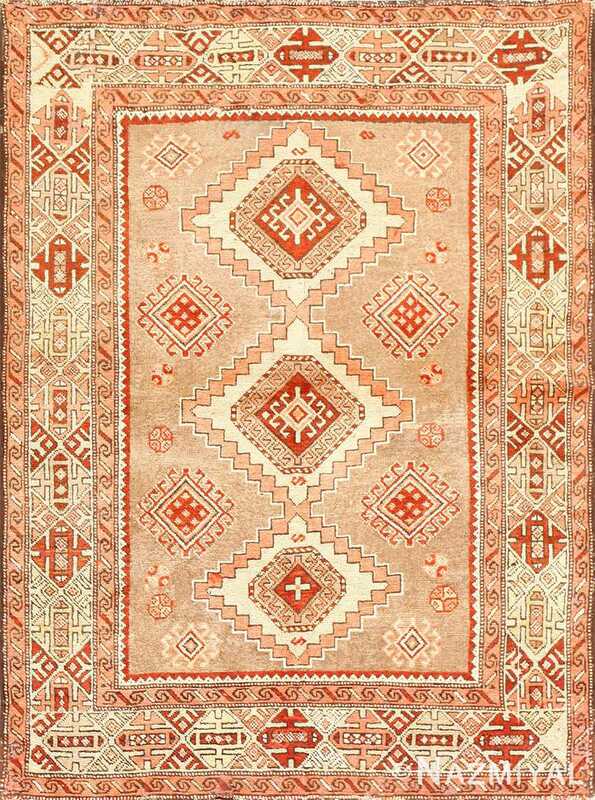 The robust tomato-colored field is punctuated by carefully outlined brackets and auspicious eight-pointed star motifs rendered in a triad of traditional colors. Running-water guard bands with barber-pole outlines flank the elaborate main borders while emphasizing the formal contour of the composition. 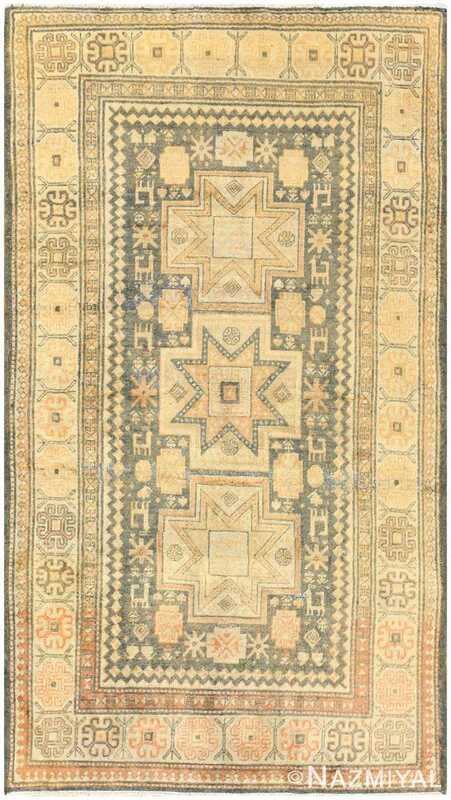 These decorative embellishments on this vintage rug incorporate a radiant assortment of repeating figures rendered in strong, clear colors that have a regal Turkish style.